This blog features YA reading reviews and recommendations, and programming ideas as well as other resources for fellow professionals working with teens in a school or library setting. Only a Breath Apart is another stunning YA romance from Katie McGarry. This standalone centers upon Jesse Jameson is in line to inherit the land that's been in his family for generations. He's been in love with next door neighbor, Scarlett Copeland since childhood, but he's distanced himself from her because he wanted to protect her and a dark, family secret. Scarlett has some dark secrets of her own, namely that her overprotective father is violent, and unpredictable--physically abusing her mother with the potential for more violence to Scarlett and her younger sister. The years of mental and emotional torment have left Scarlett isolated and dreaming of graduation and hopes that college might finally be the opportunity for her to break free. She is still deeply hurt by Jesse's action their freshman year; however, following the death of his grandmother, they seem to be on a destined path toward each other. Jesse's passion is to inherit and tend the Jameson land----there's just one catch: to prove his maturity, he has to win Scarlett's approval and her father's. But when Jesse finds out that Mr. Copeland is abusing her, he must decide what truly matters most: his family's land or helping the girl he's fallen in love with. McGarry has the knack for writing page turning YA romances which also bridge important real word issues such as abuse and trauma. The relationship between Scarlett and Jesse is honest and heartfelt while being an excellent example for the kinds of relationships young adults should aspire to build. I loved every tenderly, crafted word of this book. Dance of Thieves is a new novel set in the Remnant Chronicles universe, in which a reformed thief and the young leader of an outlaw dynasty lock wits in a battle that may cost them their lives—and their hearts. When the patriarch of the Ballenger empire dies, his son, Jase, becomes its new leader. Even nearby kingdoms bow to the strength of this outlaw family, who have always governed by their own rules. At the same time, Kazi, a legendary former street thief, is sent by new young queen to investigate transgressions against the new settlements. When Kazi arrives in the forbidding land of the Ballengers, she learns that there is more to Jase than she thought. As unexpected events spiral out of their control, bringing them intimately together, they continue to play a cat and mouse game of false moves and motives in order to fulfill their own secret missions. This novel is full of action, adventure, romance and betrayals. 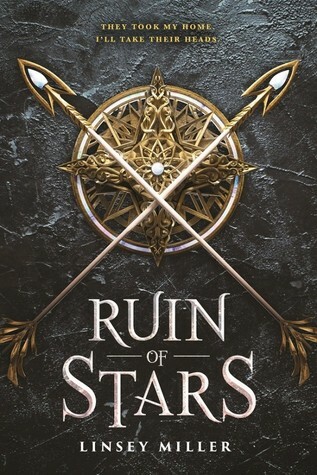 A must read for fans of Pearson's work as well as readers who enjoy Sarah J Maas and 'Furyborn' by Claire Legrand. She will do whatever it takes to save the man she loves, even if it means convincing a god to guide her through the Void. Freeing a mortal from the Void is nearly impossible, but Kalinda has never let those odds stop her before. Kalinda must embark on yet another dangerous journey to save the soul of the man she loves. Maybe it is just me, but she seems to lack a bit of the spark of the previous books. This feeling is due in part to her unrest regarding Deven's fate; however, Kalinda has changed since the end of the last book--losing Deven despite helping to bring a tepid peace to the Tarachand Empire. Part of the trouble is her finding a new balance with her powers since losing a hand. Nonetheless, Kalinda braves perils to save Deven from the Void while also coming to terms with her past lives. 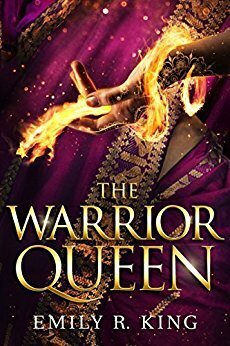 Overall, I enjoyed this final story but felt the ending was too wrapped up in some ways--a bit too happily ever after considering what we learned of Kalinda's past lives and connections. **SPOILER** For me, I was pleased Deven was saved, but I wanted more growth for their relationship. I enjoyed the duel plot following Prince Ashwin as he learns to rule on his own. Bottom line, a good series conclusion with plenty of action, adventure and romance. Plus a gorgeous cover! Rand & Cami - Still teenagers, but married with a young toddler. Rand works himself to death to provide for his family, but a dark secret from his past drives his need for revenge. Cami loves her family but feels as if she's been cheated out of her youth. She has some dangerous secrets of her own. Grace - Rand's step sister, deftly opposed to guns since her father was murdered during a drive-by shooting. Noelle - Grace's sometime best friend and Cami's sister, who sustained a brain injury and other prolonged effects from the same shooting that killed Grace's father. Daniel - Half Honduran, Daniel is homeless following the death of his father and the deportation of his mother. He has been the victim of a racially motivated beating lead by Tim and Silas. Needing to feel wanted, Daniel is depressed and too emotionally attached to Grace. Tim - Daniel's half brother and member of a white supremacist group. He hates his brother. Ashlyn - one of the only female members of the white supremacist group. She's also from a violent background, currently living with an aunt because her father is in prison for murdering her mother. 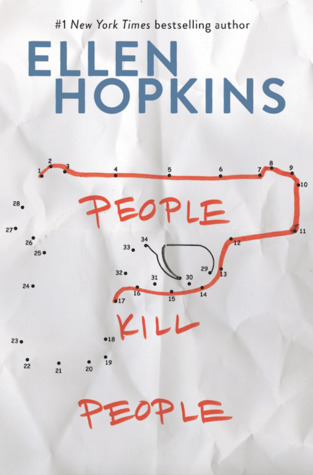 Hopkins begins the novel with a horrific accident caused by gun violence and paranoia. It is this act and the subsequent sale of a gun to an unidentified character which drives the remaining narration. Each of the other characters has the means and motive for possessing this gun. As the story concludes, reader's learn just how violence, guns, and hatred impact these character's lives. However, the story's climax is shocking and oh so sad. The pacing of the novel feels slow at times and the characters are not as magnetic per se as those from Identical, Tricks, or Impulse. However, this is a topic relevant to our society today and needs to be explores so that teen readers and older can have a meaningful discussion about choices and consequences. I received an ARC in exchange for a review - thanks Netgalley and Disney Hyperion! Each short story centers upon a specific supporting character from the Magnus Chase and the Gods of Asgard series. 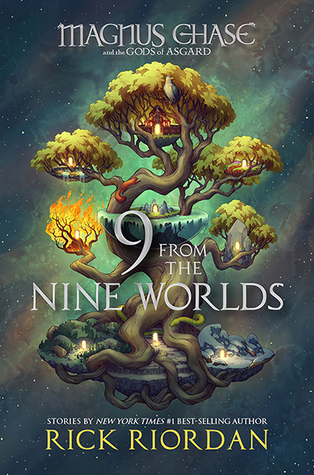 Norse mythology driven, these stories are exactly what readers have come to expect from Riordan--the perfect blend of humor with adventure and myth. There is a common thread throughout that connects the stories: Thor (in all his flatulent, inappropriately dressed glory!) Standouts for me were Alex and Jack but also Hearthstone. A definite must read for any Riordan fan! --I'd previously read/reviewed "Death and Night" earlier this year. 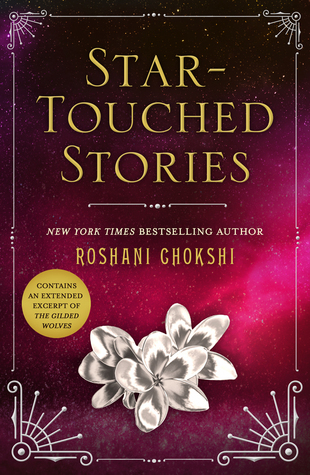 Chokshi's writing is rich, vibrant and sensuous in its detail and world building. I want to wrap myself up in her descriptions and dive head first into the beautiful, intriguing stories. I still love this first novella, kicking off the Star-Touched Queen series. It is a beautiful story--lush, dark yet romantic. --Aasha was one of the stand out characters from A Crown of Wishes. I was delighted that she got her own story. The pacing was great as was Aasha's physical and internal journey to accept her future and who she is because before you can find fulfillment with another, you must first love yourself. --This was another lovely story, set several generations in the future with Gauri and Vikram's grandchildren. We do get a lovely tale featuring the peril Gauri must once again endure to save Vikram before their wedding. This story reminded me a lot of the myth Orpheus and Eurydice. What sacrifice and challenge would you face for love? A beautiful tale, both lovely and bittersweet. I might admit to some tears at the end! Overall, a masterfully written set of novellas! Finally reaching the goal of one of the Queen's assassins, Sal is free to pursue vengeance and retribution. But at what cost? Can Sal withstand the price weighing on her soul? This was a satisfying conclusion to the duology. Sal is an intriguing character and Miller has done a nice job exploring a gender fluid protagonist as well as world building. There are a fair amount of twists, turns and surprise revelations. A recommended read for those who've enjoyed books by Robin LaFevers and Sarah J. Maas. I received an ARC in exchange for a review from Netgalley and Sourcefire Books. Don't Miss Book 1 of the series: Masks of Shadows! 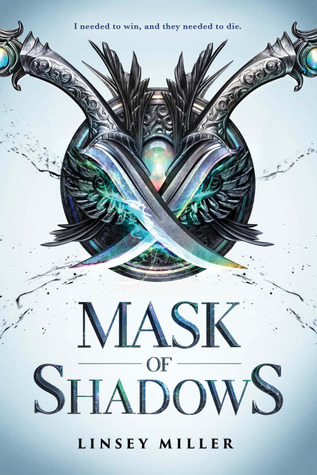 Perfect for fans of Throne of Glass and His Fair Assassin, Mask of Shadows follows gender fluid thief, Sallot Leon on a quest to become Opal, one of the Queen's personal assassins. Sal must complete feats of cunning and deceit to win the title and use its power toward enacting revenge. I enjoyed the book and the series as a whole; however, I wish the audiobook had done the story justice. 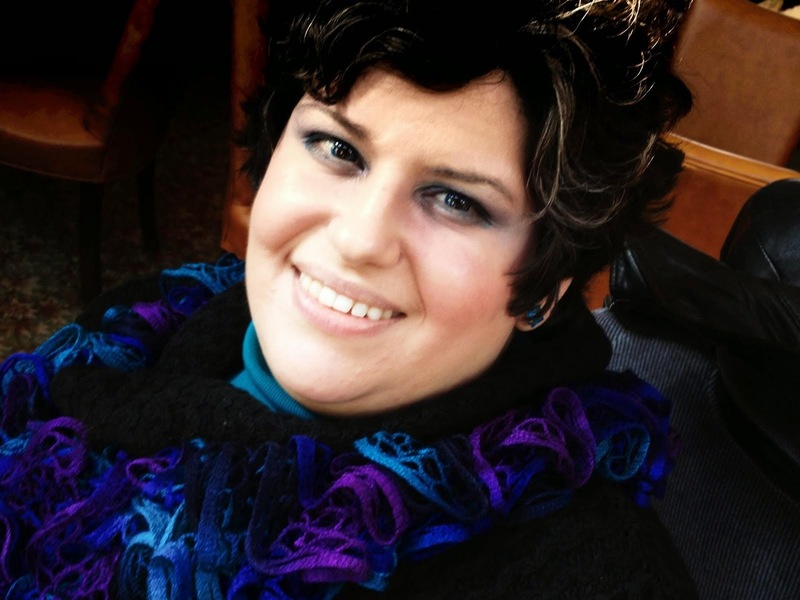 Former teen librarian, lover of YA books! Share book reviews and ratings with Bibliofiendlm, and even join a book club on Goodreads.